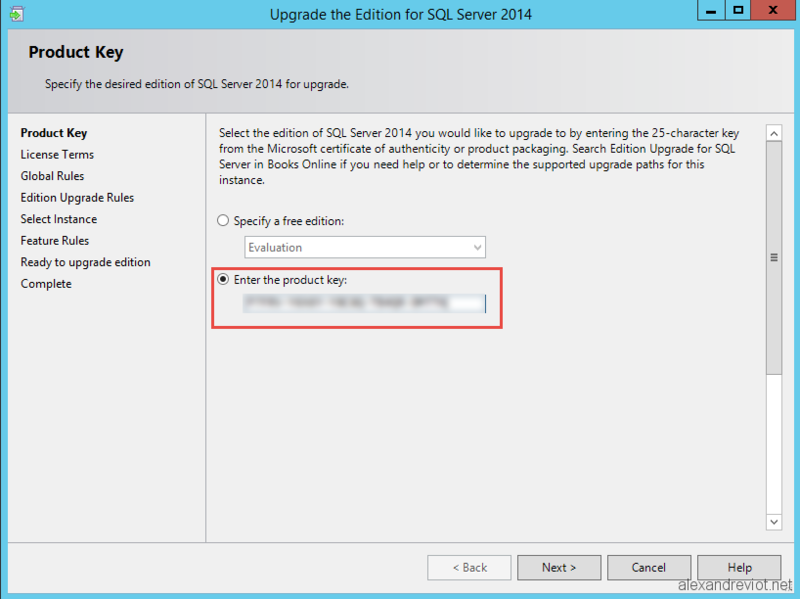 Sometimes, you may need to change the product key, the license, of an existing SQL Server installation. This can happen if you installed the product in Evaluation mode or if you want to upgrade to Enterprise from Standard edition. 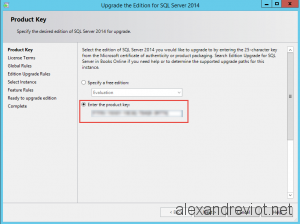 Fortunately, this modification does not require to uninstall and reinstall SQL Server. It can be done using Setup Wizard. But, you may not have the Product Key displayed in your msdn subscription portal. It can be find in the .iso file that you downloaded from the website.